It’s been a while since I really dove into a multiplayer shooter without any of the new hotness in game mechanics slathered on top; I’m talking about the hero-centric games like Overwatch, or the rash of battle royales like Apex Legends, PUBG or Fortnite. 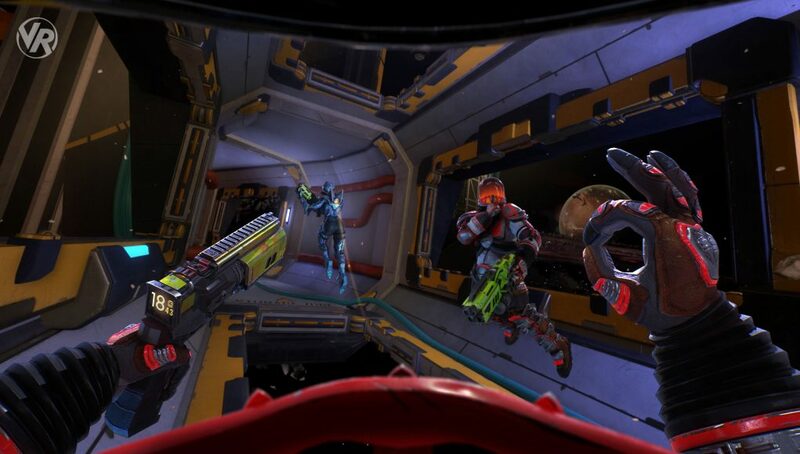 Ubisoft’s latest VR game is however closer linked to an earlier breed of shooter and much less so than its contemporary brethren of today—ostensibly an homage to the founders of the genre like Unreal Tournament (1999) and Quake (1996). 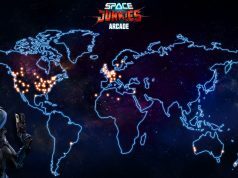 It’s not to say that Space Junkies doesn’t have a lot going on, but its core gameplay should be very familiar to anyone who’s been anywhere near a computer or console in the last 20 years. 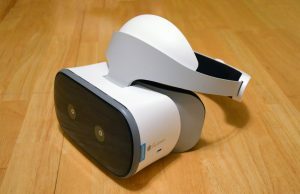 That aside, it’s a true VR native and very comfortable one despite some pretty frenetic gameplay. Note: There’s a division in how users play across PCVR and PSVR platforms, although each seems to have its own strengths and weaknesses. 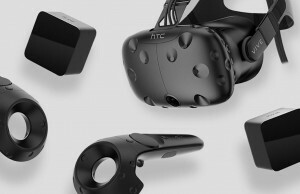 When I talk about the experience with Rift and Vive, or PSVR in the ‘Gameplay’ section, you’ll find I’ve clearly labeled those parts so readers can get a good sense of what their chosen platform has to offer with Space Junkies. Space Junkies is a classic shooter in almost every sense. After joining a four-person lobby, you start the match with a random gun and then find fixed pickups all over the map that will give you an advantage over the three other players. There’s health and armor pickups or varying strength, and knowing where those are can definitely affect your kill-death ratio. So too can knowing where the OP rocket launcher is, sniper laser, or explosive slingshot. I’ll get more into all of that below. 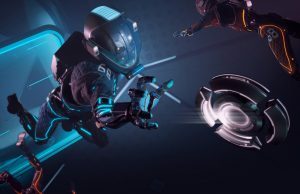 Without underselling the zero-G locomotion and excellent VR shooting experience (on PC VR), it’s decidedly a tried and true formula that serves players looking for a quick pick-up game. After going through the tutorial, you’ll probably find yourself in a Quick Match within about 30 seconds—great for people who just want to let off a little steam with minimal hassle. There’s also private matches and team-based matches too, which sources users from your Uplay friends list. 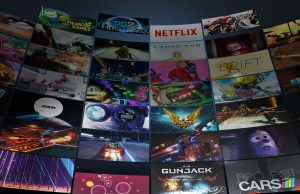 Love it or hate, Uplay provides a cross-platform bridge that spans PSVR, Oculus Store and Steam VR versions of the game. 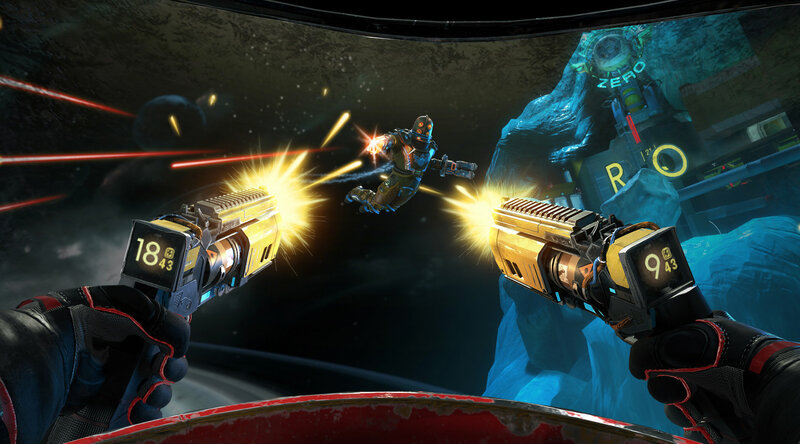 Vive/Rift: Shooting is a pretty natural experience in Space Junkies, although you can’t really rely on the iron sights despite existing on many guns. For both single-handed and two-handed weapons, its much easier to use the built-in laser sights (or laser reticle) to get a good idea of where bullets will go, and then course-correct by following the trail of the last bullet to get a better idea of where I was shooting. You may not even have enough time for that though, as other players seem to have found the knack for exactly where their bullets will land (directly at my face). Reloading is a fun and novel experience. Instead of reloading by simply mashing a button, most of the time in Space Junkies you execute a sort of twirling action with your gun to reload again, or by yanking the gun backwards to close the open chamber. This is true is most single-handed weapons, although some, like the shotgun, require two hands to charge and shoot. It feels easy and reliable—everything it should be. 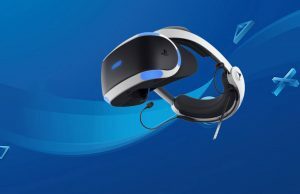 PSVR: PlayStation VR users only have one supported control method, DualShock 4. This, I found, was more responsive in reloading thanks to the single button push required. Actually shooting though required a bit of practice. Since the game basically turns your gamepad into a single 6DOF controller (much like in Astro Bot Rescue Mission), you have to remember to physically aim with both hands, something that’s easily forgotten in the thrill of the fight. When I did inevitably forget to maneuver the controller, I ended up naturally overcompensating with artificial locomotion by aiming with my body and using the fixed reticles. 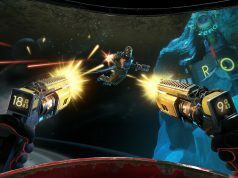 Dual shooting is also a more singular experience on PSVR; you can’t aim guns independently from each other. You’ll have to get used to the control scheme before you can be truly competitive with PC VR players in the shooting department, although its undeniably faster to reload a shotgun and pump away at close targets on DualShock 4. All platforms: Gameplay modes include free-for-all, 2v2 death match, 1v1 death match, and king of the crown (‘King mode’), the latter of which is a mode that reveals the position of anyone holding the crown. This one was one of my favorites, as standard death matches started to feel a bit stale after a few in a row. Other modes and guns are said to come at some point post-launch, and I’m really hoping for a wider selection. The game has cosmetic upgrades via XP-driven lootboxes too, which are a nice touch considering it features a strictly no-microtransactions system. The ability to configure your holstered secondary weapons lets you mix and match your load-out, and a few character presets also let you choose your relative health, stamina, and speed. 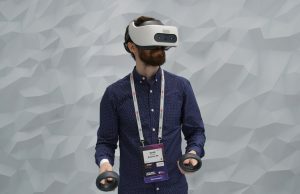 Like all multiplayer-only VR games though, the early player population will dictate whether it lives a healthy life, or becomes a ghost town in relatively short order; the situation really is that delicate at the moment in VR. Ubisoft Montpellier says they’re committing several months of content updates to keep things moving forward. Simply put, Ubisoft Montpellier is looking to go the distance with Space Junkies. And while content updates might also not be the savior I’ve made them out to be, maybe the planned in-game events and esports tourneys will help draw in the repeat engagement the game needs to catch fire. Let me preface this next paragraph with something positive: Space Junkies is fun, fast-paced and seems to check all the right boxes for arena shooting fans. My fear though is that many shooter fans have largely moved on from arena-based games. While I’ve had a few good laughs with Space Junkies, I still haven’t grokked whether the gameplay is deep enough to keep me coming back. 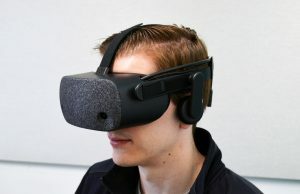 With an excellent level of execution in basically all other departments, it remains to be seen whether VR players will be content with a game that would be aggressively yawned at if it were on a flatscreen. It’s also likely that Space Junkies will become the Unreal Tournament-style game VR has been looking for, as there’s precious little choice in terms of innovative shooters in VR currently. Again, it’s just too early to tell where it will land. 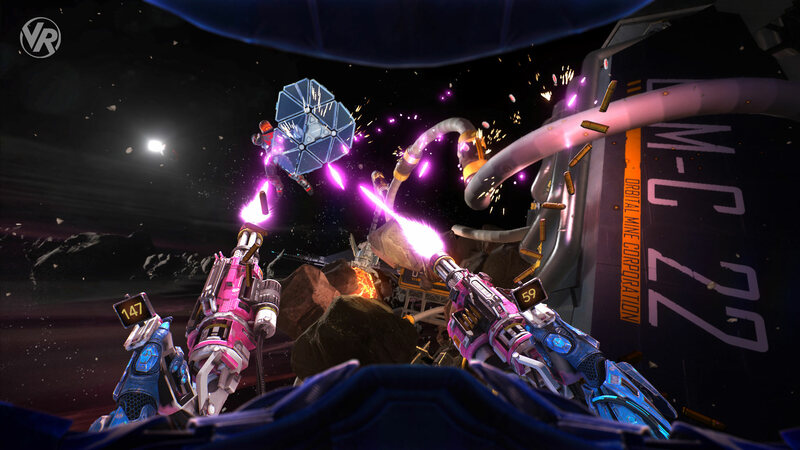 Like all of Ubisoft’s VR titles so far, Space Junkies offers well realized environments with a level of polish that approaches ‘AAA’ territory, albeit with a cartoonish art style. Visually, it’s hard to ask for much more. Environments are both well constructed and varied enough to offer plenty of interesting cover for tense firefights. 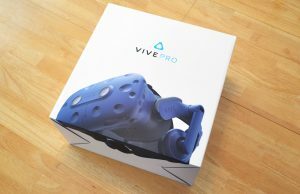 For Rift & Vive users, the game’s inverse kinematics are nothing short of great, giving users a full-body avatar equipped with context-dependent hand emotes (bring your hands together to clap, make a thumbs up, make a heart when you bring your hands together). PSVR players will have to do without though, as your hands are constantly locked in the same gamepad-holding position. 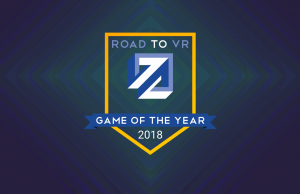 It’s a bit of a sad sight at the end of a match when PC VR players are gloating using a fun fix of gestural emotes, and the PSVR players are stuck inexpressibly wiggling around. To some players, fast-paced shooters like Space Junkies can suffer in the immersion department when you have to constantly snap-turn (or smooth turn) to get where you’re going, which makes a room-scale setup much more conducive to the immersive possibilities of high-octane firefights the title promises to deliver. 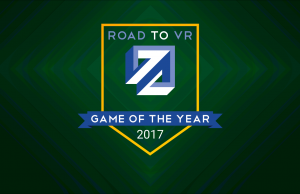 On PCVR platforms it offers support for either 180 or 360 tracking setups, hand or head-relative motion, and left or right-handed shooting. 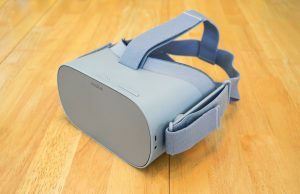 Only PCVR has smooth-turning, sorry PSVR users. Ubisoft was a pioneer in the comfort department with their early VR title Eagle Flight, and it seems some of those lessons have made their way to Space Junkies as well. 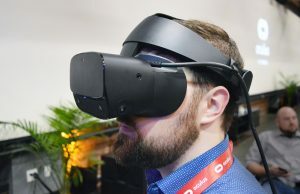 Acting as a sort of cockpit, the players helmet helps ground the user in the environment, providing a solid anchor point to the zero-G locomotion scheme despite there being no ground beneath your feet. This can be toggled on and off, and arrives with an optional FOV vignette that comes in and out depending on the speed of your head movement. Snap-turning combined with all of the comfort options available make it easy to entertain the idea of having multi-hour playsessions in Space Junkies. Granted, the game’s zero-G environment is far from a faithful reproduction of what you might expect in space, as all users have the same horizontal plane and move up or down in the 3D space accordingly. This is a good thing though, as you always have a stable horizon beneath your feet or above your head. 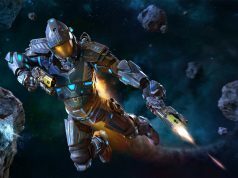 'Space Junkies' is a technically proficient arena shooter that hits it out of the park in many aspects, including visuals, gun play, immersive environments, and comfort. There's an elephant in the room though: it's a pretty standard arena shooter experience that relies solely on multiplayer, which is still a very delicate thing in VR. 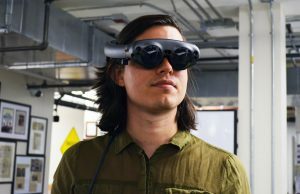 While extremely capable, it remains to be seen whether it has the guts to drive user engagement numbers to keep it a healthy and bustling community based on such a well-trodden formula. Also I can’t supersample the game for some reason. 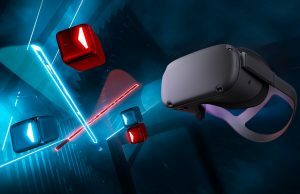 What’s the logic behind not allowing Move controllers in the PSVR version? Ah yes, the fateful lack of thumbstick. Kind of a death blow for shooters I guess, and the Skyrim solution perhsps doesn’t cut it for competitive deathmatch. Maybe Aim support would do it. Just seems a shame to play such an immersive game with a gamepad. The problem I was thinking of is that it’s impossible to dual weild without a thumbstick, at least with current control styles. But yeah, not being able to use the Move controllers period in Space Junkies is still an odd choice considering. No option to smooth turn at a player selected speed is a big fat fail! I thought they’d patch it in after the beta but nope! Weird! Other than that, solid if limited game, I think they should sell it for $20 or so given it’s just a handful of different guns and arenas with even more limited mode selection. No arena shooter staples like CTF or anything beyond basic free for all and TDM with the crown twist. Also there are some drawbacks but generally when dual wielding one handed weapons, especially those with aiming reticles, you can aim and shoot far easier on the PSVR version. Obviously not because the dualshock is superior to PCVR controllers like Touch, it’s just so oversimplified on the PSVR to the point it takes far more skill to aim your weapons manually independently with both arms/hands. Some balance changes might be in order too, it seems the better players absolutely decimate any competition once they get their hands on the slingshot. 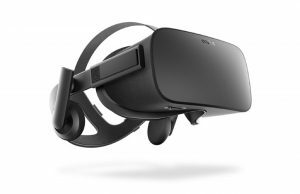 I always turn off any comfort mode features in vr apps, but the smooth turning is sooooo slow so I’ve reverted back to snap turns. I’m brand new to the game and although I occasionally win a match, a lot of the time I’m getting destroyed! I’m not a fan of shooting games in VR that require you to basically do stupid motion-control actions or waggle to reload. As was the case with Wii when it did this kind of stuff–and literally as you mentioned regarding the PSVR version above–it’s simply better just using a standard button press to reload. It’s so clunky and unreliable in every game I’ve played where you have to use both hands to reload and stuff. Even having to use two hands to steady a weapon usually feels clunky in most shooting VR games I’ve played too. My experience with the demo of this game suffered quite a few of those issues. Just keep it simple. 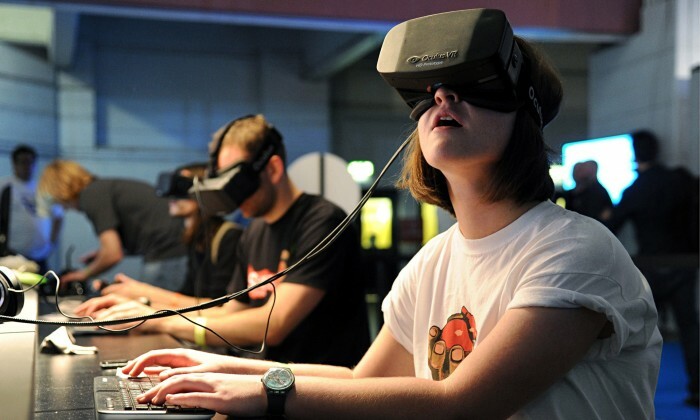 VR is already compelling and magical enough without having to force in gimmicks just for the sake of it. We should have learned this lesson after the Wii. I find the game too expensive. 20 dollar mark would be much better suitable for online only. Not biting the bullet yet.